This Chongqing-Lhasa railway offers information about the Chong-Lhasa train travel. And it also presents daily schedule of each train station. Travelers can directly find the train message they need for their Tibet train travel. They can check the arrival time and departure time in this article. Meanwhile they can view the staying time of each train stops along the railway. If the travelers want to know the total length, train number, duration time, they can also find answers in this article. Therefore, it is definitely a good source for travelers who want to have a Tibet train travel from Chongqing. Chongqing-Lhasa Railway is a main gateway to Tibet, and equals to another gateway, Chengdu-Lhasa Railway. This railway covers 3654km from Chongqing to Lhasa. 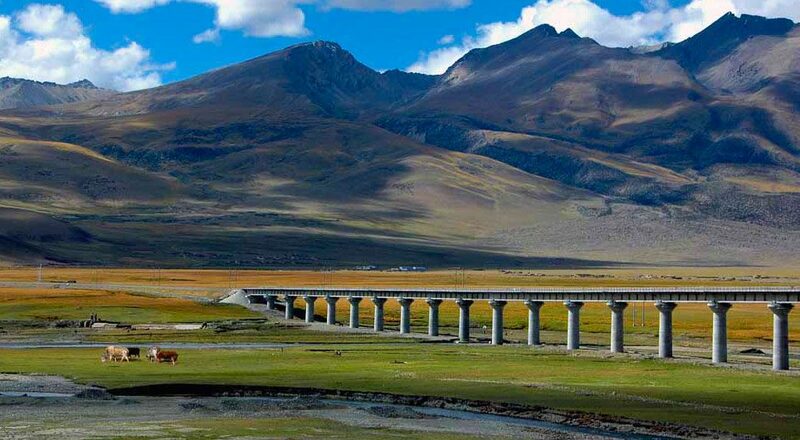 Moreover, it takes about 43 hours to reach Lhasa, the destination of this train travel.